To return to the very beginning: Are we heading for ‘1984’ reloaded, i.e. a frightening scenario of ‘Big Brother’ constantly surveilling every aspect of human life as described by English author George Orwell in his dystopian novel published in 1949? 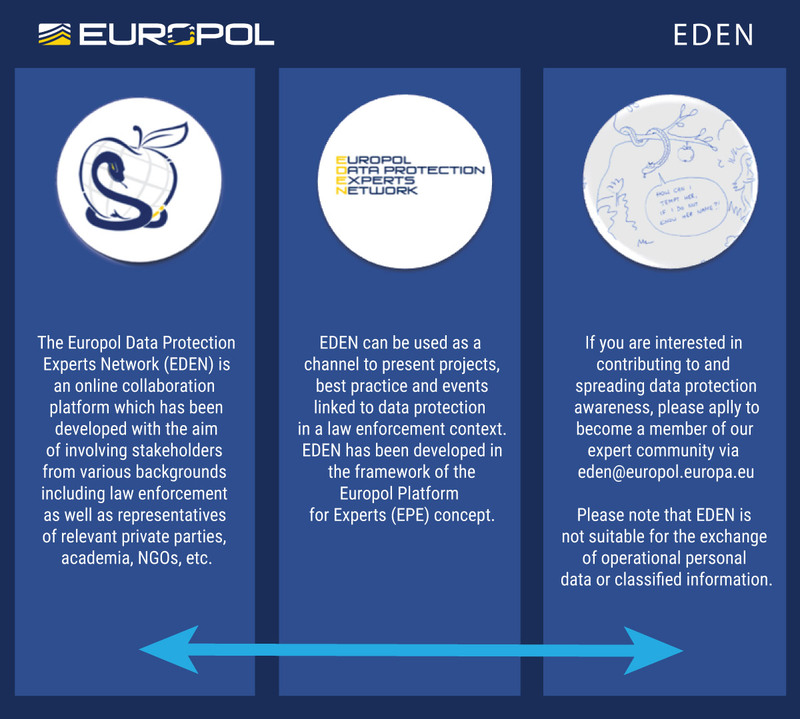 Europol’s answer is a firm ‘No’.The Europol Regulation entails a clear reinforcement of Europol’s external data protection supervision – even including a “right to pull-the-plug” of any Europol system – which is allocated to the European Data Protection Supervisor (EDPS) acting in close cooperation with national data protection supervisory authorities. Also the parliamentary scrutiny by both the European Parliament as well as national parliaments acting through a Joint Parliamentary Scrutiny Group (JPSG) provides for strong oversight over Europol which has – already in the past – often been referred to as the “most controlled police agency”. Europol does not perceive this as a burden and has successfully established a data protection culture which recognises the value of fundamental rights observance. An important element in this context is to move away from the “privacy versus security” tune. The notion of balancing these values constitutes a false dichotomy presenting a unitary dial: if we turn up privacy, we get less security, and if we turn down privacy, we get more public security. Security and privacy are viewed as a zero-sum trade-off. There is no doubt that there is a relation between security and privacy, in that a change to one will sometimes affect the other. But often it is possible to increase security without decreasing privacy, and sometimes a decrease in privacy leads to no meaningful increase in public security. The possibility of increasing security without decreasing privacy also forms the very basis of ‘data protection by design and by default’ in a law enforcement context. This concept is one of the key messages in the data protection reform package for the European Union. And it is also valid in a law enforcement context: enhancing security without sacrificing our freedoms is in fact the strongest response to the elevated threat landscape. The previous chapters have illustrated the solid data protection regime at Europol, not only on paper but also in practice. Ultimately, what Europol strives to protect is an area of freedom, security and justice. Europol’s overall aim is to serve operational business needs in the best possible way while maintaining a high standard of efficient data protection and data security safeguards. The compliance with the principle of data accuracy therefore directly contributes to Europol’s analysis and operational work. The rules in place ensure the highest level of data quality which is the requisite precondition for quality analysis. Europol’s analysis reports directly influence operations in Member States often leading to the arrest of persons involved in serious crime and terrorism. Nevertheless, making an arrest is not the end of the story. Data that is obtained or processed unlawfully may not be admitted as evidence in court. Information provided by Europol must be beyond reasonable doubt in the interest of data subjects as well as law enforcement. The Data Protection Function at Europol operates daily to protect the rights and security of individuals. Europol and its partners are united by the common vision of making Europe safer without sacrificing fundamental rights including the right to data protection.